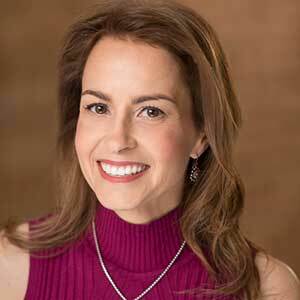 Dr. Melinda Ring serves as the Medical Director of Northwestern Medicine Osher Center of Integrative Medicine in Chicago, IL. While earning her medical degree and completing her residency at the University of Chicago, Dr. Ring’s passion for complementary and integrative medicine evolved along with her holistic philosophy of treating the whole person, physical, emotional, mental and spiritual aspects, to achieve true health and healing. Following her residency, she completed the Fellowship in Integrative Medicine at the University of Arizona. She is board-certified in Internal Medicine and Integrative Medicine, and cares for patients with a wide variety of conditions and preventive health needs. In her roles at Northwestern, she oversees the clinical outpatient and inpatient programs, as well as medical student and resident education in Integrative Medicine. She leads a wonderful team of talented practitioners who work together to integrate the best of the world’s medicine. This integrative approach facilitates healing and helps patients reach their goals for wellness with a greater sense of participation. She is a Clinical Assistant Professor in the Department of Medicine at the Northwestern Feinberg School of Medicine. She also contributes to textbooks, lectures, and research articles in the field of Women’s Health and Integrative Medicine. In 2013 Rodale Books published her first book on integrative women’s health, The Natural Menopause Solution. Dr. Ring serves on the executive committee of the Academic Consortium for Integrative Medicine and Health, a group of 61 highly esteemed national academic centers whose mission is: “To help transform medicine and healthcare through rigorous scientific studies, new models of clinical care, and innovative educational programs that integrate biomedicine, the complexity of human beings, the intrinsic nature of healing, and the rich diversity of therapeutic systems.